Funeral service for Mark S. Jones, age 90, of Albert Lea, will be held at 2:00 p.m. on Monday, December 3, 2018 at Christ Episcopal Church. Father Henry Doyle will officiate. Military Honors will be accorded by local veteran’s organizations. A private family burial will be at Graceland Cemetery. Visitation will be from 3:00-5:00 p.m. with a Masonic Service at 5:00 p.m., Sunday, December 2 at Bayview/Freeborn Funeral Home. Online condolences are welcome at www.bayviewfuneral.com. Mark died Tuesday, November 27, 2018 at Thorne Crest Senior Living Community after a short illness. Mark S. Jones was born on August 14, 1928 in Albert Lea, the son of Albert and Mildred (Spencer) Jones. 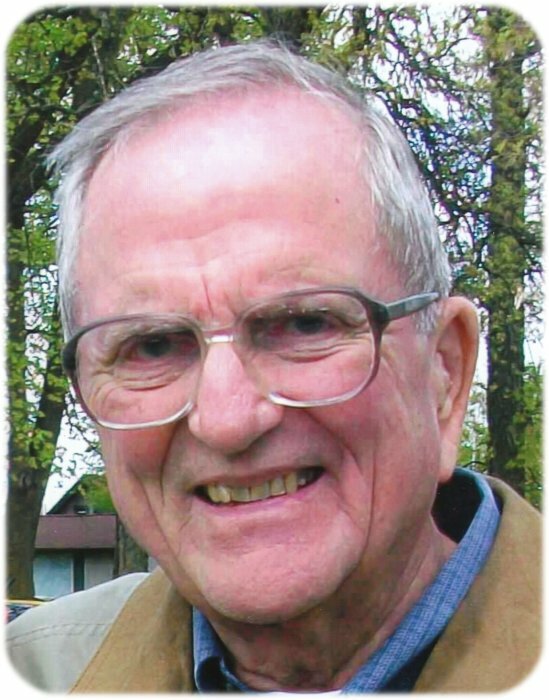 He graduated from Albert Lea High School in 1947 and the University of Minnesota in 1951 with a degree in political science from the college of liberal arts. During college, Mark was accepted into the ROTC. Upon graduation he served with the US Air Force at Wright-Patterson Air Base in Dayton, Ohio before being shipped off to Nagoya Air Base in Japan for 17 months during the Korean War. He maintained his association with the Air Force for many years thereafter and rose to the rank of Lieutenant Colonel in the Active Reserve before retiring in 1977. On July 2, 1955, Mark was united in marriage to Beverly Thompson in Austin, Minnesota. He entered the family insurance business, known as Big Insurance Agency, with his father in July of 1954. The business was founded by his grandfather in 1895. Mark held his insurance license until August of 2018. Mark was very active in the local community, including membership and involvement in American Legion Post 56 and the V.F.W., lifetime member of the Chamber of Commerce and the Chamber Ambassadors, Albert Lea (Graceland) Cemetery Association, Noon-Kiwanis where he was a past president, the Albert Lea Shrine Club, and the Elks. He also had extensive involvement with the Masons including membership in Apollo Commandry Southgate Council of Free Masonry #15, Western Star Lodge #26, Albert Lea Chapter Royal Arch Masons #30, and Apollo Commandry #12. Mark was a member of Christ Episcopal Church, serving the church in many roles. Mark delighted in traveling around the country with his family by automobile and by train. He always brought along his camera to document the many trips they took together. Mark had a strong interest in American history and especially enjoyed telling stories of Albert Lea's past. He loved spending time with friends and family at his home in Albert Lea. He looked forward to annual visits to northern Minnesota in the summer and to Gulf Shores, Alabama in the winter. Mark is survived by his children, Elizabeth “Betsy” (Rusty) Wulff and Tom (Nancy) Jones; grandchildren, Laura (Conny) Wulff, Mariah Wulff (fiancé Jaimie Chadwick), Spencer Jones, and Alexis Jones; great-grandson, Harbor Wulff; sister-in-law, Meridee Dobberstein; and many nieces, nephews, grandnieces, and grandnephews. Mark was preceded in death by his wife, Beverly; parents, Albert and Mildred; grandson, Zachary Wulff; sister-in-law and brother-in-law, Marilyn and Lea Dobberstein. In lieu of flowers, memorials are preferred in Mark’s memory to Shriners Hospitals for Children – Twin Cities.